In accordance with Europe’s upcoming privacy regulations, Facebook will introduce easy-to-read privacy pages. The social network announced the news on its site on Tuesday. The Cambridge Analytica scandal either reminded or revealed to the masses that Facebook’s method of making money is closely intertwined with the personal information it obtains from users. Though Facebook is free, the company made nearly $40 billion in 2017 by working with advertisers. As Mark Zuckerberg himself pointed out to Congress, the average user does not read terms of service agreements before they hit “Agree.” This, combined with confusing language in menu prompts, allows the company to collect more data than users may realize. Thanks to Europe’s General Data Protection Regulation arriving May 25, however, the company will soon be forced to give everyone a better understanding of what’s being done with their data. While Facebook is making some things more clear, certain options continue to be shrouded in carefully-chosen, hazy language. While Facebook will now offer new privacy opt-in screens, the company is still employing the same tricks to nudge users into giving the company more personal data, mainly in the final stages of a privacy agreement. This is present on the upcoming “Data With Special Protections” and “Face Recognition” pages, seen here. Facebook does a good job of explaining what’s being collected using plain english that many can understand (and hopefully these pages are terms of service-sized in length). The sly part comes at the end: instead of a simple “Yes” or “No,” there is an extra step for users: “Accept and Continue” or “Manage Data Settings” — the latter implying more steps lie ahead. Those lazily going through setup may hit the “Accept” option just to get through it all. That’s without mentioning “Accept and Continue’s” shiny bright blue button versus the drab, low contrast “Settings” option. Designers have called out Facebook on this before. Designer Mike Rundle on Twitter has commented on the company’s ploys to get more user data. Rundle lays out an example of a Facebook Messenger screen that asks the user multiple times to upload their contacts to Facebook servers. Once again, instead of a simple “Yes” or “No,” the options are “OK” and “Learn More” — the latter suggesting more work would be required by the user. Commenting on the new privacy pages, Rundle said some users may miss the “Manage Data Settings” option if they’re going through the initial menus quickly. “It’s clear that Facebook is biasing towards users blasting through and tapping the big, blue buttons to get it done with,” Rundle told Mic over Twitter direct message. The designer pointed to Apple’s iOS as a better version of this kind of dialog box, specifically their share analytics page. “Apple’s iPhone setup process is much more user-friendly and obvious. 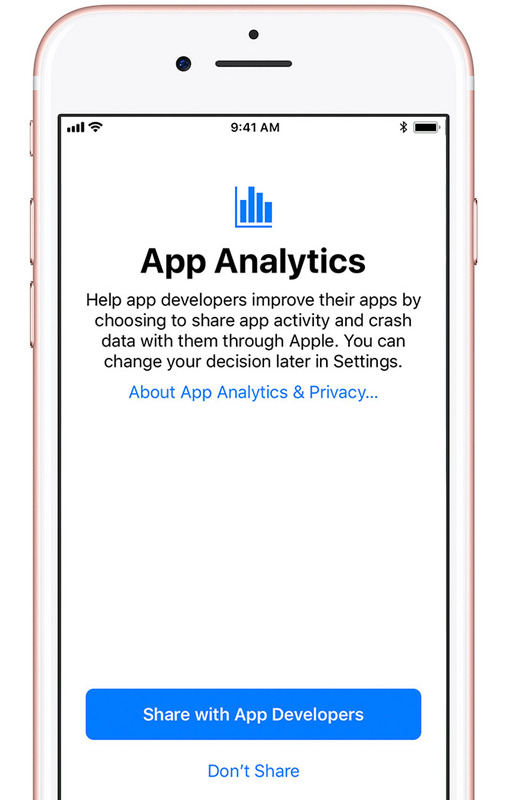 For example, the App Analytics setup screen is very clear with understandable language as to what each choice means,” Rundle said. Europe’s GDPR will surface privacy changes and clarifications in tech products many of us use all the time. Companies like Google, Apple and more are all updating their services in an effort to protect user privacy. Though it may be a while before we see an amendment that forces service agreements to end in simple “Yes” or “No” options.